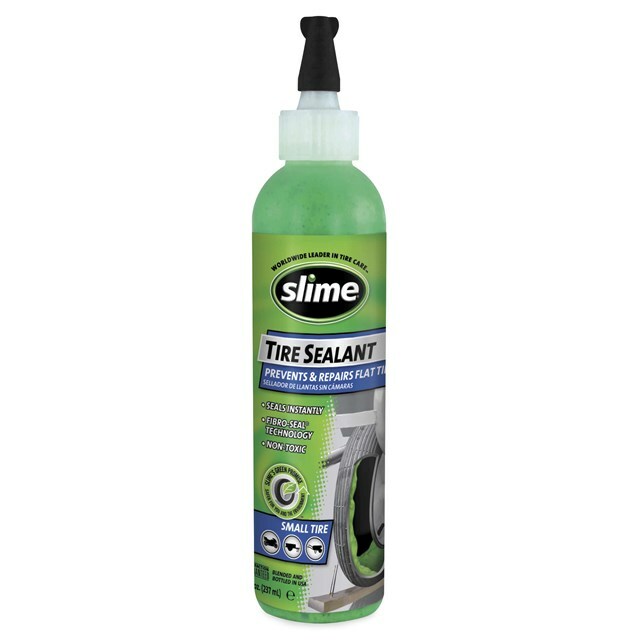 Repair flats with Slime® Tire Sealant. 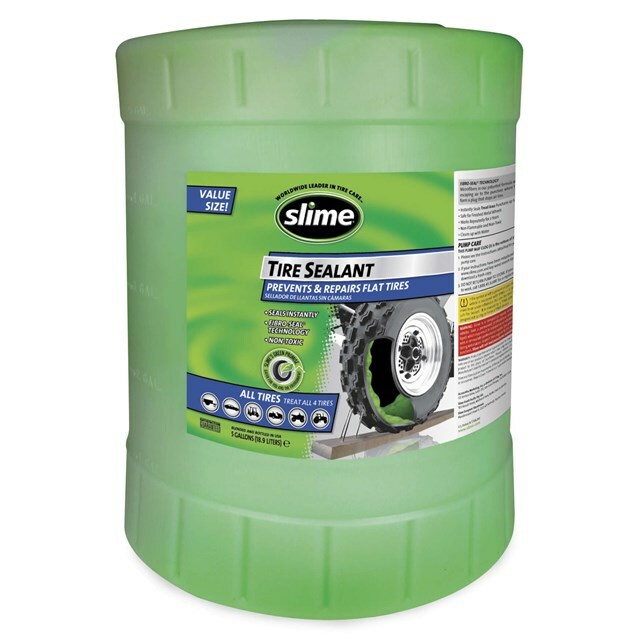 Instantly seals punctures up to 1/4 in. (6 mm) using Fibro-Seal® Technology. Compound is non-toxic, non-corrosive, non-hazardous and nonflammable. Cleans up easily with water.